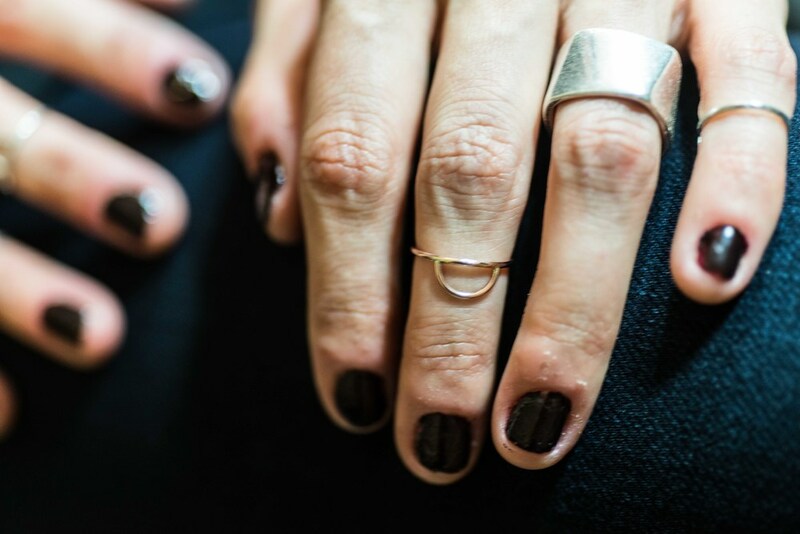 Originating in the alchemy of used automotive metals, Laura Norris' line of jewelry, Adorn, ranges from delicate, asymmetrical pieces to bold, chunky wearable art made from recycled materials. What does ADORN mean to you? To me, Adorn represents a journey that began with an idea and a desire to learn new things. 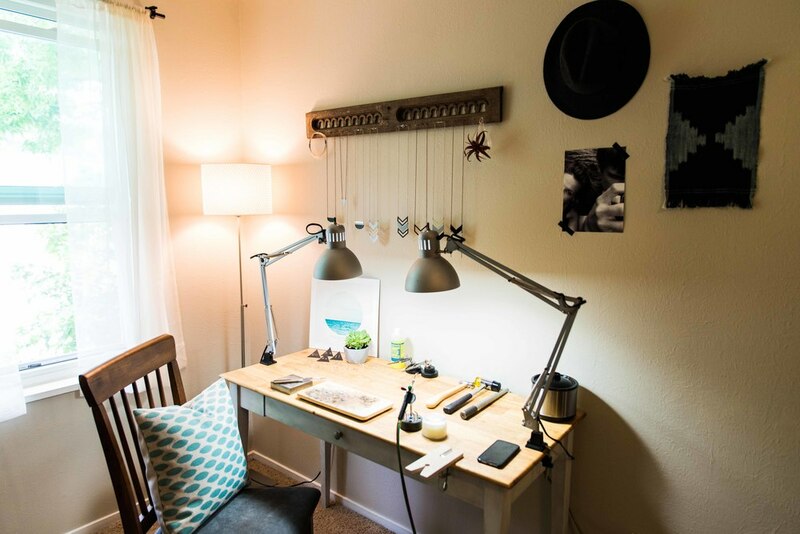 And since I started out years ago, I’ve learned a lot from growing that idea into a little business; about jewelry making, about running a business, and about myself. It’s given me the confidence to do something that I really love and—as a result—is something that I’m really proud of. Easy, wearable pieces inspired by the geometric and minimalist. Forged by hand by a self-taught metalsmith. WHAT WAS THE FIRST PIECE YOU CREATED? 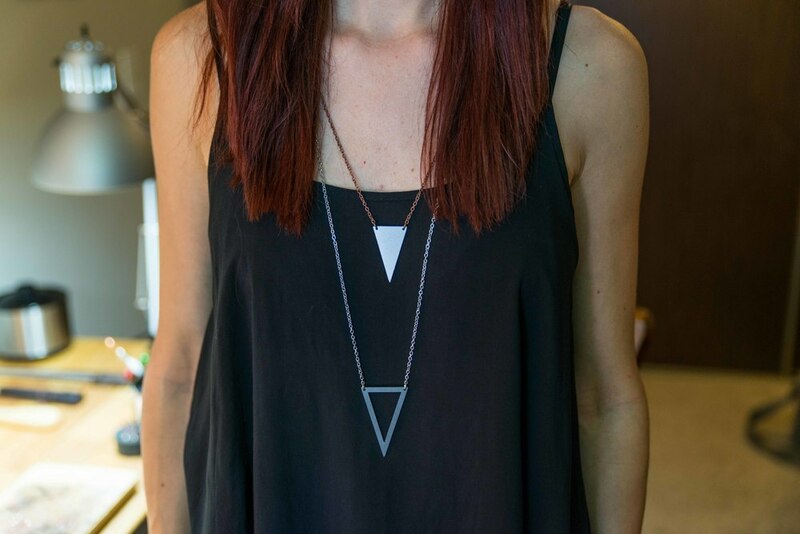 My first piece of Adorn jewelry was a very irregular and jagged triangle necklace. I was (am) really proud of it and wore it for quite some time. 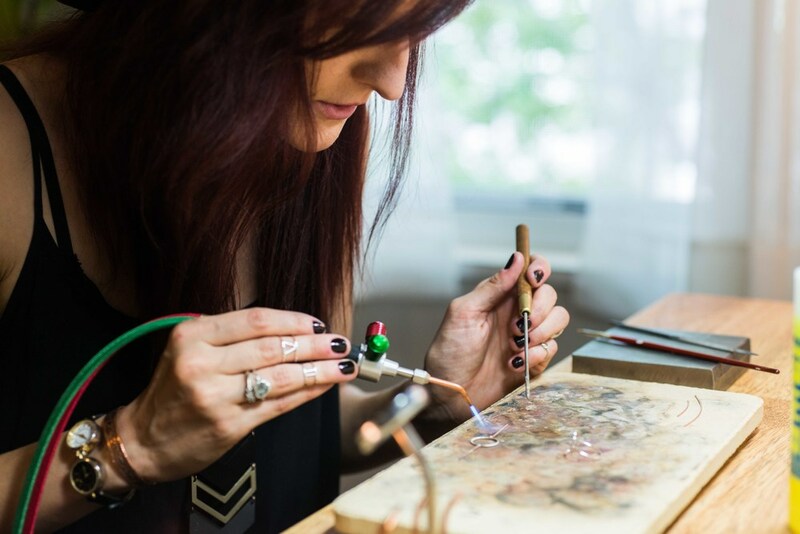 HAS YOUR JEWELRY DESIGN EVOLVED? Yes, very much—especially my metal work. These pieces are made from metal that’s been recycled from an automotive shop, where I also do my metalsmithing. My father is an automotive technology instructor, and over five years ago, we had this idea to transform metal from the shop into jewelry. When we first started out, we weren’t exactly sure how to create the pieces that I had in my mind, but throughout the years I’ve constantly been refining my process and gradually developed a system that works really well. WHAT METALS AND MATERIALS DO YOU WORK WITH? Many of my pieces are made from recycled metal that I clean up, cut, and transform into necklaces and earrings. I also create more delicate jewelry using traditional metalsmithing techniques, including rings, earrings, and necklaces made from sterling silver and rose gold. My very favorite piece of jewelry is a rough diamond ring given to me by my boyfriend, Sam, who bought it years ago from a wonderful shop on Etsy. It’s imperfect, beautiful, modern. I’ve never taken it off. I’ve learned a lot from growing a little business; about jewelry making, about running a business, and about myself. It’s given me the confidence to do something that I really love.